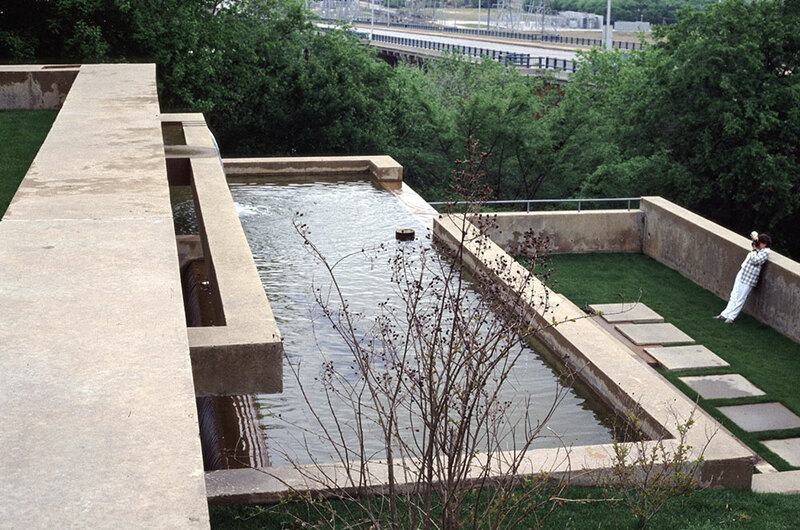 Landscape architect Lawrence Halprin loved cities, so it was only fitting that his cliffside Fort Worth, Texas, commission, Heritage Park Plaza (HPP), was the first-ever item on the National Register of Historic Places designated solely as landscape architecture. Located on the northern edge of downtown Fort Worth, on a half-acre atop a bluff on the Trinity River, HPP is a series of concrete walls, a rambling collection of ceiling-less rooms on the original site of the 19th-century military fortification for which Fort Worth is named. 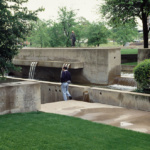 At one time, water, funneled through concrete channels, unified the design and offered a symbolic connection to the river. 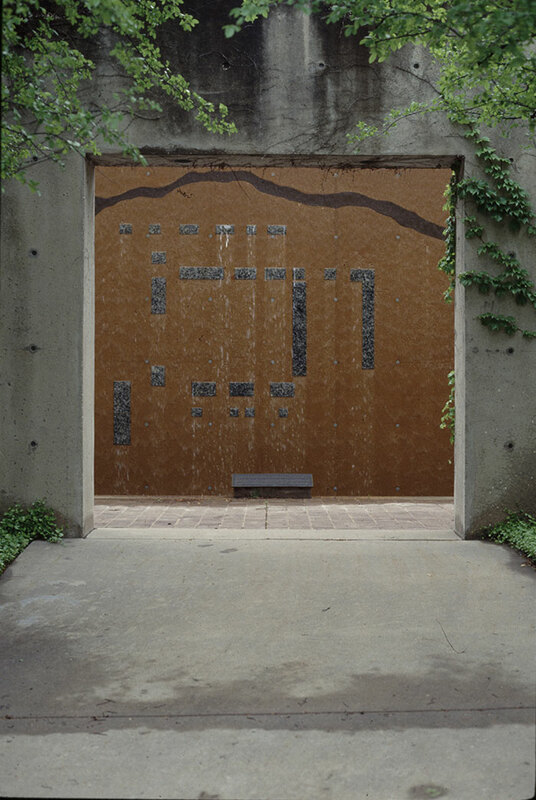 If you’ve been to the FDR Memorial in Washington, D.C. (unveiled in 1997), the design here will ring familiar to you; Halprin applied the approach honed in Texas to honor the 32nd president. 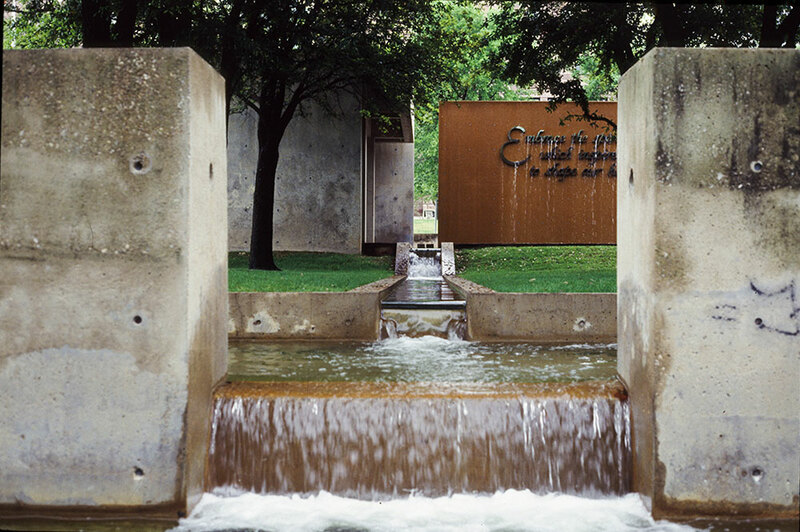 Completed in 1980, Heritage Park Plaza was the first project where Halprin began to think in a postmodern way. 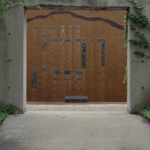 On-site, he worked with artisans to interpret the location’s history and, by extension, the city’s heritage. 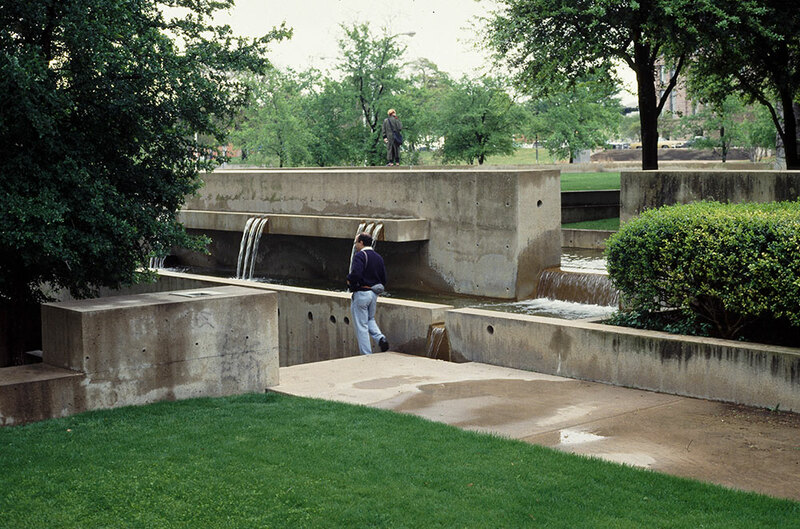 In a 1971 master plan for the City of Fort Worth, Halprin originally conceived of HPP as one of a series of public spaces linking the Trinity River to Philip Johnson’s Water Gardens, fewer than five miles away. The city-owned parklet had deteriorated badly by 2007, when it closed to the public. But why was such an important work allowed to fall apart in the first place? Reasons abound. 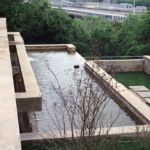 Unlike the Water Gardens downtown, HPP’s relative remoteness makes it harder to visit, while people who do come must cross roads and traffic to access the site. The original concrete, though, is in pretty good shape. The real problem, surprisingly, came from the trees themselves. 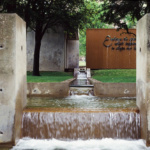 Halprin planted a central bosque with 11 live oaks, a species that sheds its leaves gradually, and consequently a basin for the water feature’s mechanical system became clogged with debris. The new trees proposed for the site—cedar elms—drop their leaves all at once, making cleaning easier to plan. 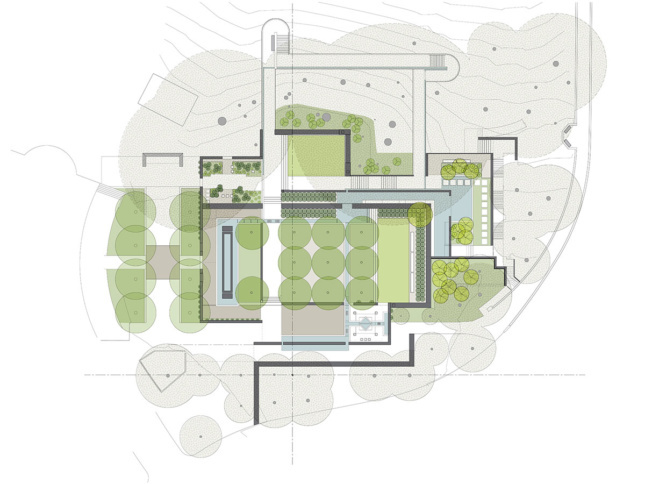 To address these issues and others, the city hired two local firms to collaborate on a comprehensive restoration: Landscape architects at Studio Outside and architects at Bennett Benner Partners will restore the park, using Halprin’s original specifications (some unrealized in the final built form). It will cost an estimated $3 million just to repair HPP, but plans are on hold—for a good reason. Although almost all of the construction documentation for the restoration was complete, stakeholders realized that to ensure the park’s long-term survival, a master plan was needed for attracting people to and rebuilding the landscape of the whole area.